In more recent years static concrete pumps has increased quite considerably in popularity throughout the UK, particularly in inner city building sites where space is limited. At Cornwall Concrete Pumping we used to use boom pumps with extra pipeline where it was necessary. 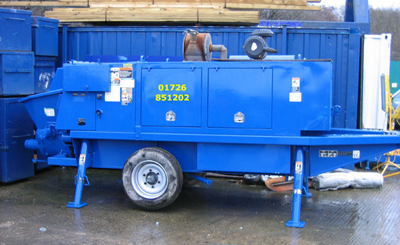 Now we offer static pumps and stationary placing booms, due to customer demand. This method of concrete pumping should most certainly be considered for large concrete structures. What is a Static Concrete Pump? A Static Concrete Pump is a system whereby concrete is pumped through a fixed 125mm pipeline, to a stationary placing boom using either an electronically powered or diesel powered concrete pump. The use of stationary placing booms can remove the need for pipeline laid out across the slab. Generally speaking each pour will be much quicker as a result of this, thus reducing labour requirements and also improve the safety of the site quite considerably. Additional; advantages include: placing booms can easily columns and walls, reducing crane time. At Cornwall Concrete Pumping we have worked very hard, since we began in the trade, over 25 years ago, at building a good reputation and reliable name for ourselves. This has been achieved as a result of continuing to keep up to date with the latest concrete pumping technology and machinery and also through quality and standard of work. All of our workers have been fully trained, working at a high standard and more importantly operate machinery in a safe manner. 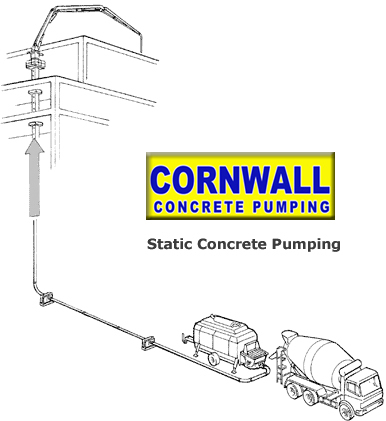 If you require more information about the concrete pumping services available from us at Cornwall Concrete Pumping then please call us on 01726 851202 and we will be pleased to help you.